Rock star Vince Raven ignores the old adage "you can never go home again" when he and his band film their latest music video back on his old stomping grounds, unaware of the terror awaiting them. After the band learns about a series of recent fatal dog attacks in the area, they put music videos on the back burner to fend off some crazed locals who believe Raven and his family's alleged dark legacy are the source of the slaughter. Claudio Fragasso put a major spin on the werewolf lore in this horror film by adding the element of killer canines, who get way more screen time then the actual "monster" dog. 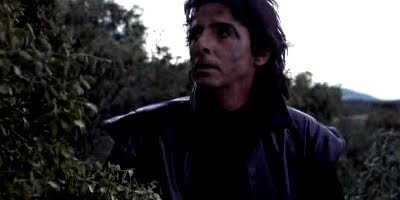 He also cast rock icon Alice Cooper in the lead as Raven, even though the film was released during the decline of his mega popularity in the 70's. Cooper does well in his role with a performance nowhere near as embarrassing as his turn in the Sgt. Pepper's Lonely Hearts Club Band movie as Father Sun. Containing unreleased tracks Identity Crisis and See Me in the Mirror. These are easily the film's main highlights with Identity Crisis being a song that can get stuck in the head for days.